v18.05 2018-04-30 ------------------------- - The speed for LZMA/LZMA2 compressing was increased by 8% for fastest/fast compression levels and by 3% for normal/maximum compression levels. - 7-Zip now shows Properties (Info) window and CRC/SHA results window as "list view" window instead of "message box" window. - Some improvements in zip, hfs and dmg code. 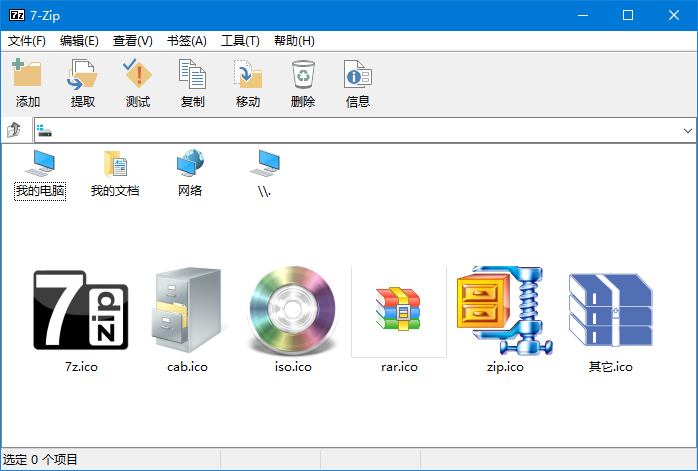 - Previous versions of 7-Zip could work incorrectly in "Large memory pages" mode in Windows 10 because of some BUG with "Large Pages" in Windows 10. Now 7-Zip doesn't use "Large Pages" on Windows 10 up to revision 1709 (16299). - The vulnerability in RAR unpacking code was fixed (CVE-2018-10115). - Some bugs were fixed.